Featuring a large 1.45 inch refined and rich color display with the most advanced vaping system, the Joyetech CUBOID Lite 80W Vape Kit Purple is such one of a kind box mod that aesthetically fits your hand comfortably. The EXCEED atomizer adopts an easy way of e-liquid filling system and exquisite adjustable airflow control. By buying this product you can collect up to 126 loyalty points. Your cart will total 126 loyalty points that can be converted into a voucher of $2.52. Featuring a large 1.45 inch refined and rich color display with the most advanced vaping system, the Joyetech CUBOID Lite 80W Vape Kit Purple is such one of a kind box mod that aesthetically fits your hand comfortably. The EXCEED atomizer adopts an easy way of e-liquid filling system and exquisite adjustable airflow control. New EX series heads with novel designs are meant to provide pure flavor with great vaping experience, no matter for mouth-to-lung or direct-lung. 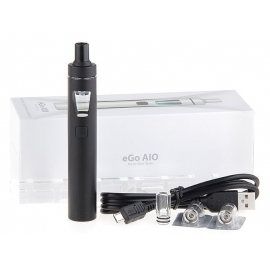 Powered by a 3000mAh built0-in battery, it handles 80W max power with a sequence of unique features including 2A quick charge, real-time clock, preheat and nicotine intake calculation and temprature protect for charging. Meanwhile, the EXCEED atomizer looks smart but means business. EX series heads for EXCEED: The new EX series heads, including EX 0.5ohm direct-lung head (best at 28W) and EX 1.2ohm mouth-to-lung head (best at 12W) with unique designs are especially and perfectly designed for the EXCEED atomizer. The EX series heads are meant to offer you the perfect original flavor ever. Refined airflow control system: In order to pursuit the ultimate vaping experience, a precise and sophisticated airflow system was applied into the EXCEED atomizer. Three small holes for mouth-to-lung inhale and one wide slot for direct-lung inhale. 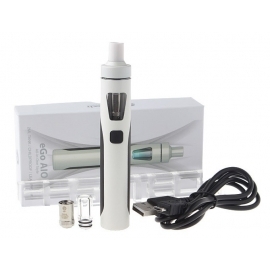 Appilicable with large capacity: Along with the kit there is a spare glass tube. Put the extended chimney on the atomizer head and install the spare glass tube. Then you'll have a large atomizer with e-liquid 3.5ml capacity. Detachable structure, easy to clean: The EXCEED D22 can be easily detached and is able to wash seperately. Power limit protect: In order to protect the atomizer head systematically, we specially designed the power limit for certain ohm range. Moreover, when you happen to install a high ohm coil head under high power condition, output wattage will drop down to the safe power limit automatically to avoid dry burn. Advanced box mod with colorscreen: Having a large 1.45 inch colorscreen coupled with an easy-to-go operation system, the CUBOID Lite advanced box mod is intuitively designed with the purpose for an ultimate vaping experience. Compact and portable: The CUBOID Lite kit comes with a tiny shape, which is quite convenient and easy to grip. Temperature protect for safe charging: We applied the exclusive temperature protect technology (ENU) into the CUBOID Lite mod. It'll stop charging automatically when temperature is beyond the applicable scope to protect the battery. Power your day: The CUBOID Lite mod has a high-powered 3000mAh built-in battery with 80W max output, which can satisfy you on a daily basis. Colorful your vaping life: Available in multiple attractive colors, makes your daily interesting and colorful. Available for various tanks: The exquisite spring loaded connector of the CUBOID Lite is applicable for tanks with 510 length ranged at 4.0mm to 5.5mm. Tanks are also free to go up to 25mm diameter as you prefer. Quick charge system: The CUBOID Lite mod has 2.0A maximum charging current with which it can get fully charged more quickly than normal ones when using the Avatar quick charger (sell separately). Onbroad reverse polarity protection: The CUBOID Lite kit applies two sets of battery protection circuit system, realizing overall battery protection of over-charging, over-current and over-discharging, which makes it more safe and reliable. Upgradeable firmware: Having the latest firmware, power limite, charging protect, real-time clock, preheat, and auto shut-down protection are available. Charging: The CUBOID Lite adopts new equalizing charg system which supports quick charge capability with max charging current up to 2.0A.